At first, I was flying like light particles through space. I was information, I was light. The speed was fast and everything was blurry. The light did vanish into darkness. There was a small black torch with red or infrared light on the floor. The light was illuminating a well made stone with small, curved lines. The curved lines were like letters of the code in old computer cards. The position of the small, curved lines, the length, and the angle of the curve was different for every line, but they were all the same size. They were like letters of a code that machines can understand. There were 3 black beings with hollow eyes. They had eyes, but they were hollow. Just like human eyes but without the lens in the eye. There was no white light. The planet was glowing in dark red color. The beings were like robots with humanoid bodies, but they were not talking. It was clear that they were communicating by digital signals. One robot being did look at the other one with an intense stare. The other robot being looked at the small curved lines in the stone. They were under the ground, in a cave or a room. Their bodies were absorbing the heat, and they were also glowing a little with dark red light. Or maybe it was a reflection of the glow in the cave. It is possible that the robot beings have discovered an old artifact with an important message that was written in a computer code. Like a bar code, but with more information, because the small curves had more parameters to encode the information. Something like 100 long numbers or maybe it was a string of a digital key. Or maybe it was a signature of a famous person. Or maybe the message contained coordinates and directions. The robot beings were able to read the curved lines and they were amazed by them. They froze without moving. It was clear that the discovery of the stone with the message did change their perception of reality. They were frozen in shock. One of the robot beings did look into my direction, but the other being was also in the same direction, so it might have been a coincidence. The third robot being did stand without movement nor any expression in the background. He or she was in shock from the discovery of the message. Then I was in space above the planet. I have seen a small space ship that was made from the same material, like the robot beings. The ship was able to absorb the heat of the glowing planet and it was reflecting infrared light or maybe it was glowing in a very dark-red color from within. Maybe it was a different planet. Maybe it was the same planet with the stone artifact under the ground. It was not clear. The planet was glowing with red color of the heat. Everything around was dark and there was no sun in this galaxy. Only the red glow of the planet did create a dim red light around itself. Then the dream changed. I was a tree. I have seen the light of the sky and the minerals that travel in the trunk of the tree. Then I was a bird. I did fly above the forest. Then I have seen a person that I would like to meet again. Then, I have seen 3 other people that I liked but did not know before. Then I have seen a baby of each person. Then I was the light and became fast again. I fell too deep into the dream and could not remember anything from this point. 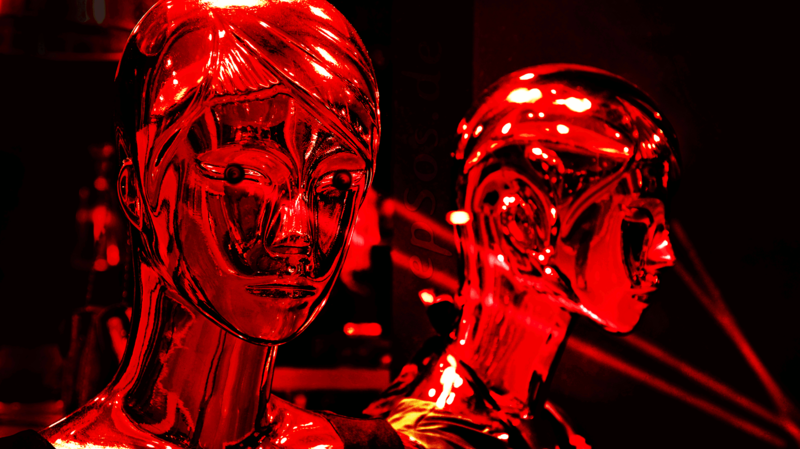 Red robots in the glowing cave. The most interesting part of the dream is about the robot beings. They have the ability to absorb infrared radiation and to see infrared light. There was no other light, only infrared light. So, they had no need to see light. Just the infrared part of the light. They might have created their body to live on the red planet that can melt metal. Their bodies were in the shape of the people, but the body was only symbolic and edgy. It had no function. They used an external torch as light, while their robotic body could have also included an integrated torch light. The body was more like a sculpture or a humanoid robot toy than a machine, that could have performed much better. It was clear that the body was like art for them. They had no need for a specific shape of the body, but they did select to have one. It was an interesting choice, because the body did limit them, and they still chose to have it as it was. The body of the robot beings was created for the environment of the glowing planet. There were only 3 robot beings in the dream, but it is possible that there were more on the surface of the planet or in the space ship above the planet. Lucid dreams are like an experience during the day or a sudden glimpse into a forgotten memory. It can be possible that the mind is creating the images from previous experiences or images that it has seen before. Some people do believe that we connect to another universe and see other planets during our dreams. It is very possible that the brain is trying to rewrite and rearrange the synapses. The new connections can create interesting images, if they have to connect information that is not connected by any logic. The most important thing during the lucid dream is to relax and to let the dream to be as it is, without any fear or expectation. The dark robot beings were very scary and strange. If the mind did panic, then the dream might have ended very fast, but it went on a little longer and it was more interesting in the end. Lucid dreams are a symptom of an inner process in the brain. The brain might be healing itself or performing maintenance, or maybe we are truly connecting to an intergalactic network of beings that are alive. The biological explanation is much more probable, but the lucid dreams are still super interesting in any case. We can be very happy that the lucid dreams are part of our world. The lucid dreams are responsible for many ideas that changed the history of the world. The dream might be not real, or not connected to reality, but the emotions and the reaction of the people are changing the world around us. New ideas or a new combination of old ideas can emerge from lucid dreams. The ideas from a dream can create and produce new technology, new concepts, new art, new religions, new social norms and a lot of inspiration in personal life. People can change from one day to another, if the lucid dream is very powerful and personal for them. The lucid dreams are like seeds of the trees that can grow and become very strong. Those trees can give life to other seeds and repeat the process. We can be very happy that the human mind is able to create wonderful images that change our life and provide new motivation for creativity and personal growth. It is very possible that creativity, imagination and dreams are responsible for many wonderful inventions that we enjoy in daily life. We can be happy about that. Thank you for supporting the creative commons movement, and have fun with your own dreams !